I wanted to thank you again for the session. It was amazing experience. I'm happy to have found you. I look forward to many other times together. You have an amazing gift of healing. Truly a master. I slept very sound last night, but still awoke at 3:30. I am still feeling very open, expanded, upgraded, with high energy to move forward on my journey. 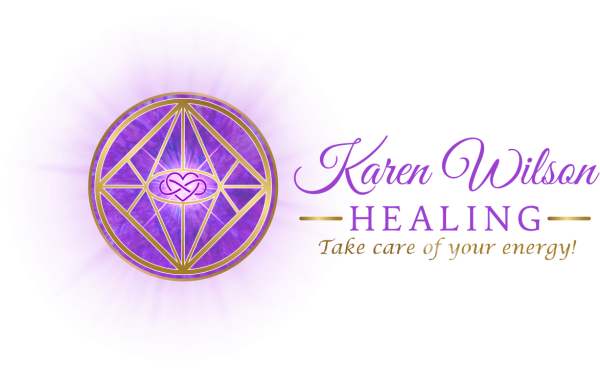 Karen is a very powerful healer who trusts herself and her guides. She was able to effect an emotional, physical and spiritual healing that also provided me with tremendous insight into my own self-healing journey. It was an honor to work with her. ~ Catherine R.
Thank you so much for the Akashic reading. It was fabulously helpful. I felt like you got clear information for me! I just had a Reiki session with Karen. It was great. I felt the energy going through me and opeining me in a totally peaceful way. She lifted the heaviness away from me. I feel that I am no longer my own prisoner and that my life is balanced now. Thank you, Karen! ~ Angelika H.
Karen, I just wanted to take a minute and tell you how much the healing session with you has changed me for the better. I am feeling more alive, better connected, and more active since we were together. I am more optimistic and connected to where I want to be in the coming months. I believe that I have gotten my fire and inspiration back. I've had so many new ideas and I've made so much progress that it's been a revelation. Even my family notices. There are no words that really express the love and gratitude I feel for you. Thank you so much. Big hug sent out to you. Karen has an unassuming gentleness that belies what a powerful healer she is. Time spent with her is not "just" Reiki; add chakra balancing, essential oil therapy, spirit communication and post-session discussion that gives another dimension to the energy work, all done in an atmosphere of love and non-judgement. She is, simply, a gift and I feel very blessed to know her. ~ Kim B.
I have been receiving Energy Healing treatments from Karen for the past several months. I have seen a dramatic change in my life. I have more energy, feel more focused and accomplish tasks more easily. Karen's intuitive insights have helped me to heal lifelong wounds. Beginning with four treatments allowed me to realize the benefits of continuing with weekly treatments. ~ R.R. My birthday gift to myself this year was a Reiki session and energy reading from Karen at Island Reiki. I have to say it was may all time favorite gift to myself. I experienced powerful, wonderful, deeply healing, balancing, loving energy through Karen's hands. And the energy messages Karen shared were not only interesting but even three months after my session I am still finding the guidance valuable, giving me much to ponder and work with. Karen is a beautiful, clear pure channel for Spirit guidance and healing and I will return for more in the future. Karen is a wonderful teacher in Reiki, I can vouch for her loving, compassionate, touch. I highly recommend her, as a Reiki Master and as a loving, dynamic, sensitive woman. Three years ago, an MRI revealed I had a prenatal extra large cyst on the right side of my head. I was experiencing sharp jabs of pain in the right side of my head and I asked Karen for a single session of Reiki. Thankfully, she agreed to help me. I had a wonderful Reiki session with Karen and since then I’ve had absolutely no pain. It was wonderful. I plan to have another session with Karen soon. My experiences with Karen Wilson at "Island Reiki" have always been so uplifting and tranquil. She helps me feel my connection to God (the Divine). I feel the energy flowing in and around me as I am immersed in God’s love. Any negativity is gone and I am completely renewed. She delivers messages specific for me that I find to be true and Spirit guided. Her counsel is wise. Karen is sweet, humble, loving, and kind… truly gifted, truly a healer. I am blessed by her. ~ Diana E.